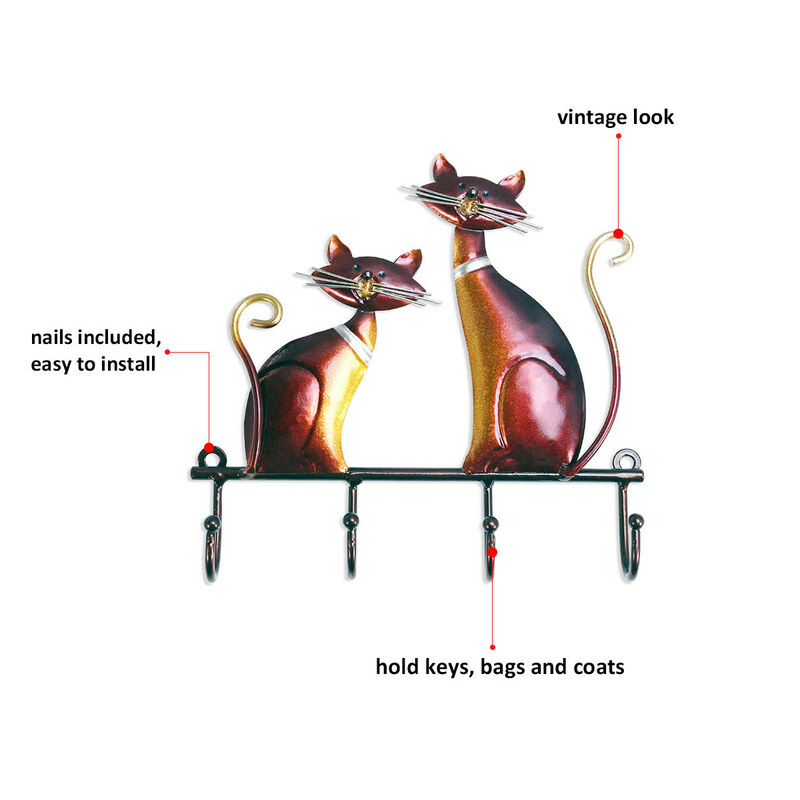 This is a practical cat wall hook, and it is attractive and matches for many kinds of homes.This wall-mounted hook rack is designed to be solid enough to handle your family’s coats, towels, bags, keys and other small things.This wall hanger is hand painted and has a vintage effect. 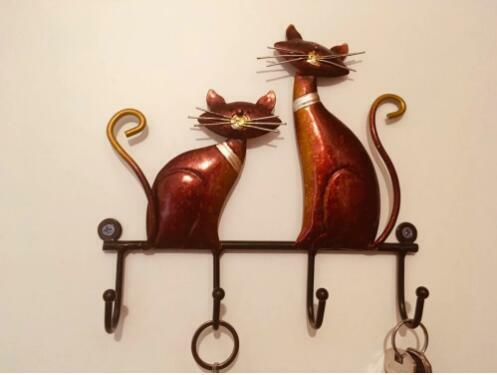 It prevents the hooks from rusting. 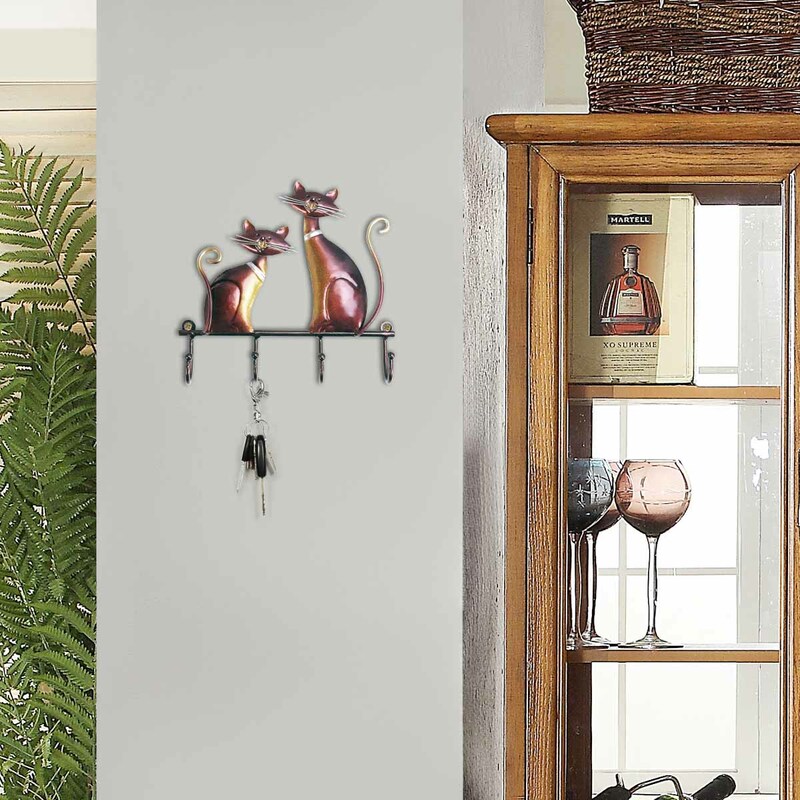 With the nails(included), you can mount it easily.The hanging hooks can be a great addition to your home and add a great touch to your home decor. 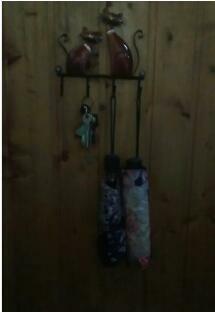 Multifunctional wall hanger: This wall hanger is made for a wide variety of use, such as to hold your towels, coats, bags, keys and other small things you need to keep your room tidy and clean. 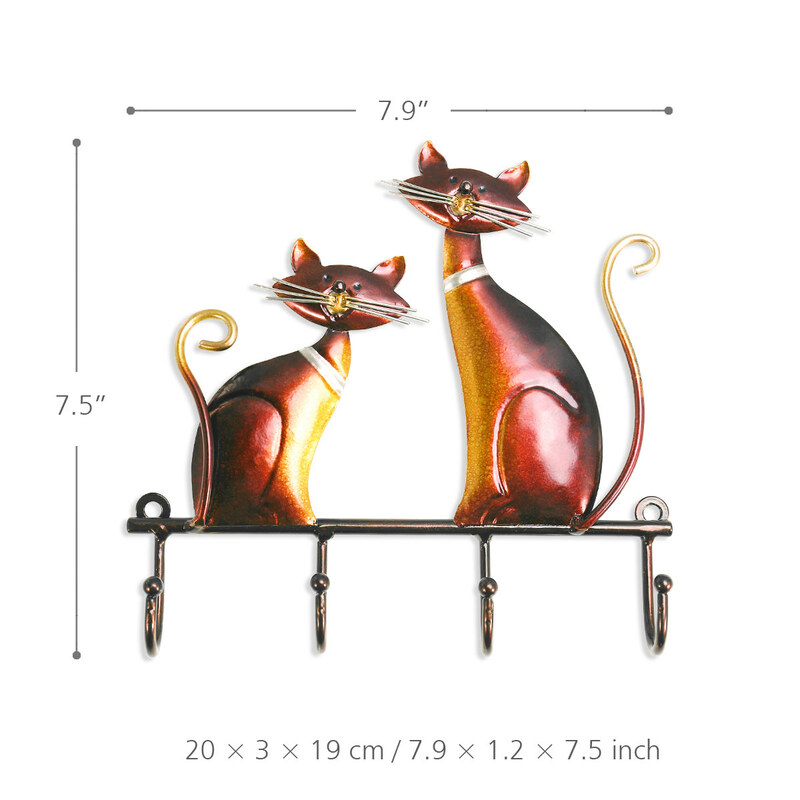 Decorative: This decorative wall hook is made from good iron material, and the lovely cat adds style and good touch to your home. 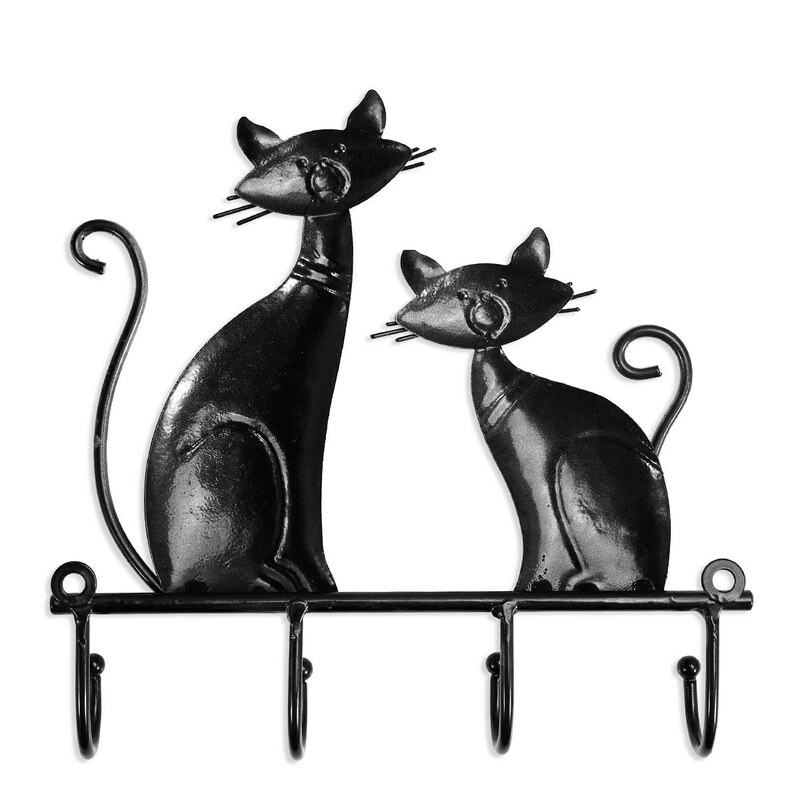 Solid design: This wall hook is made from cast iron, a uniquely beautiful yet heavy duty accessory that you can use in your home. It is solid and can withstand daily use for a long time. 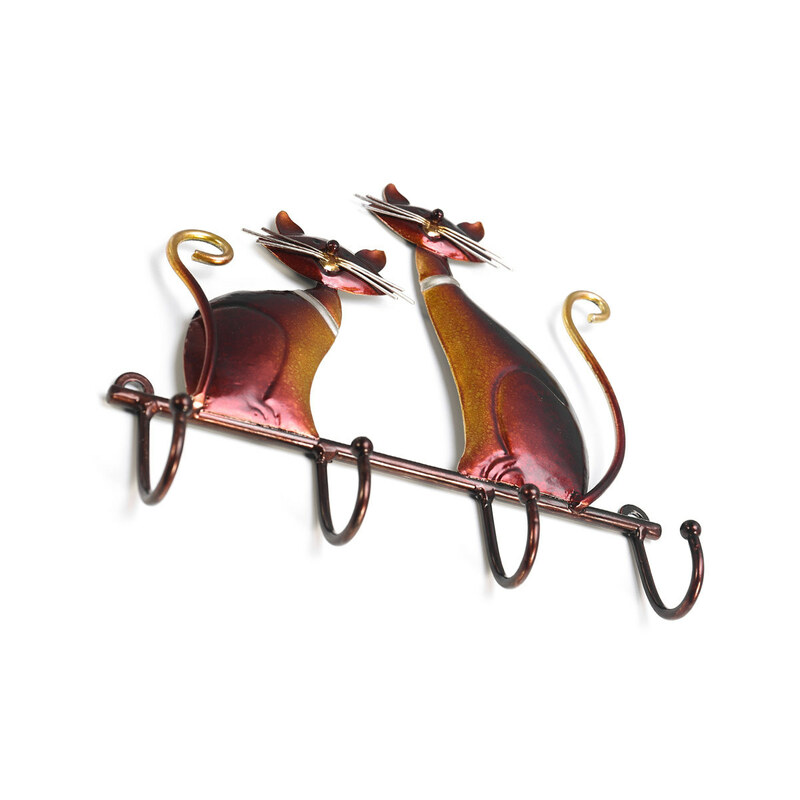 Hand painted and easy to use: This wall hanger is hand painted and has a vintage effect. 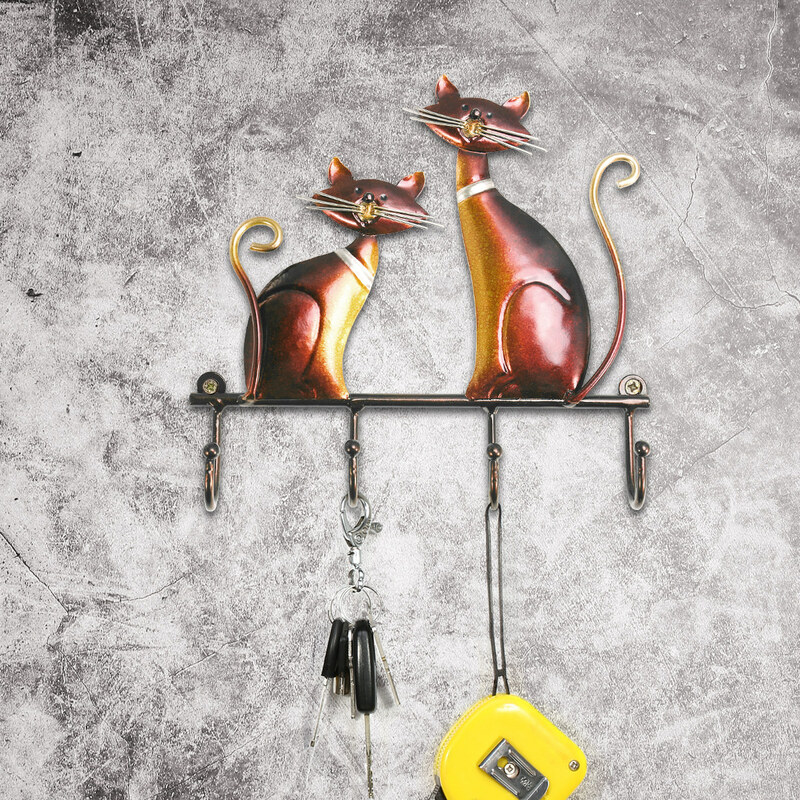 It prevents the hooks from rusting. With the screws(included), you can mount it easily. Space saving conception: Use it in your bedroom, living room or any other space to keep these places neat and organized. Super seals, so cute. I saw this hanger in free and fell in love. 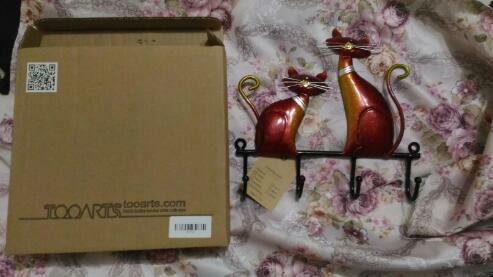 I ordered and did not regret it, although it is small, but i just needed it. Delivery super fast, 11.11-29.11. Packed in a corton box and a bag with a pup. The box is a little wrinkled, but the hanger is whole. Delivery to moscow took one month. The housekeeper was packed in a solid cardboard box. Therefore, the product came whole and unharmed. 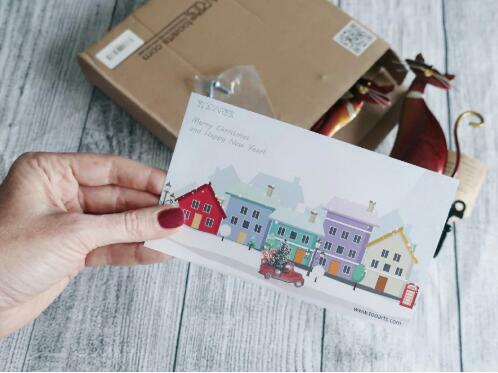 I ordered the parcel before the new year, but i received it just on the old one. In the box i found a new year's card from the seller. It was nice. Two screws were attached to the housekeeper, on which she actually holds on the wall. The housekeeper itself is metal, painted by hand, has a vintage effect. On the product there is a cardboard label that confirms that the housekeeper is metal. 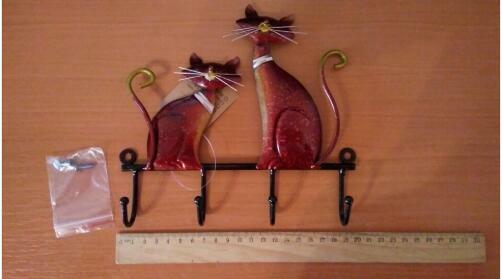 Size products: 20х3х19 cm. Has 4 hooks. 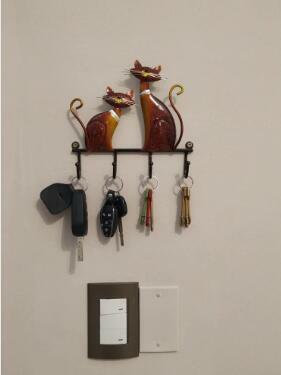 To hang on the housekeeper something heavy i would not advise, it is designed for keys and small not heavy products. 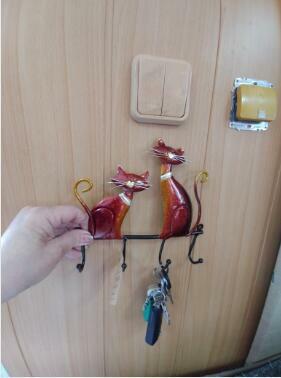 You can hang it on the wall or inside the cabinet, as i did. I liked the housekeeper with my original design. Seals fit perfectly into the interior and please with their cute faces. I recommend to buy! This was the 1st thing we put up in our new house when we moved. 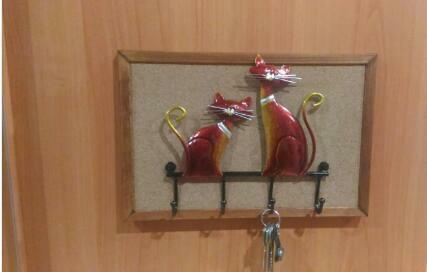 Our 3 cats appreciated it! Its adorable. Perfect! 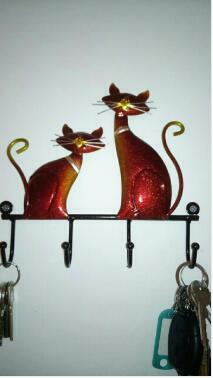 This is a beautiful key holder for me.It makes my walls more distinctive.I highly recommend it. I order from the seller for the third time and always the goods are sent very quickly and there are no complaints about the quality. I recommend! 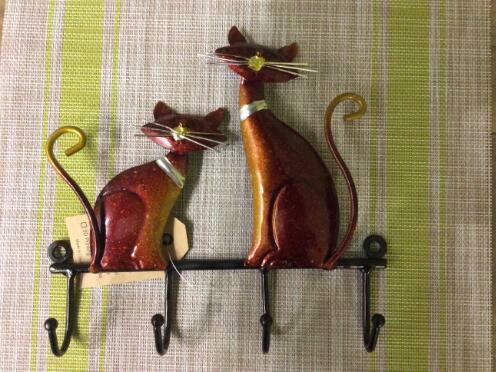 It is so much cuter than the picture, that I ended up purchasing another one. The dimension are accurate in the description just remember 7 inches isnt very long. 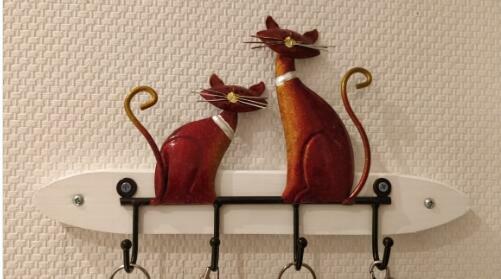 Any cat lover would like this. One of the heads fell off and i had to glue it back on. I love this thing! It is so cute. I'm putting it on the back of my bathroom door for towels and robes! Too cute for words! Only negative is the screws are very visible, but they are easy to ignore with such a sweet design. Lovely seals, really liked. Not a large size. 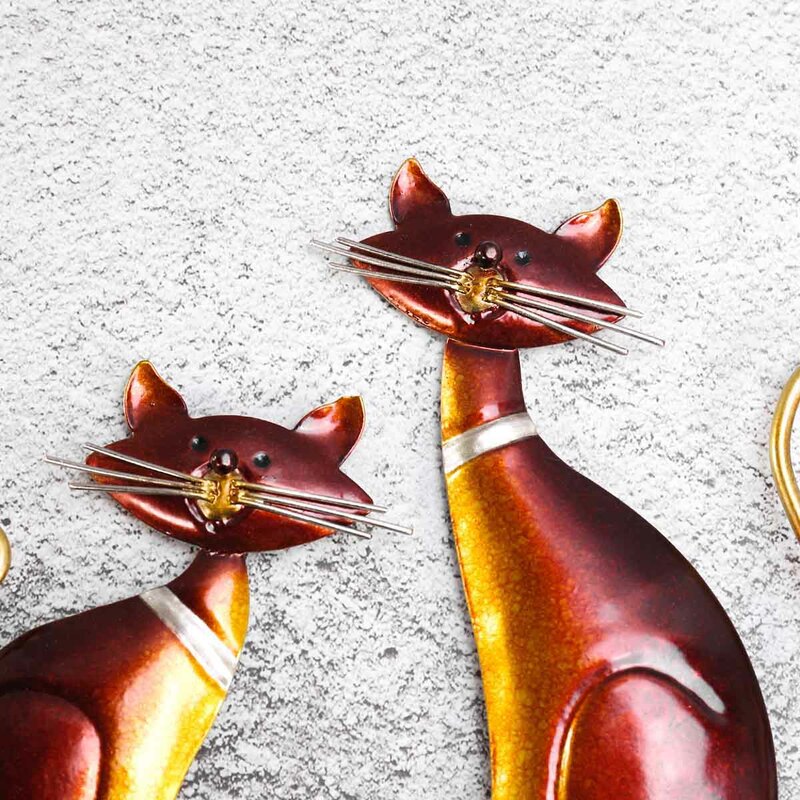 Excellent quality, nice size and fast delivery. I love it!!! Many thanks to the seller! Fast delivery 2 weeks to krasnodar. Beauty! I thought they were small, big cat the size of a palm. Packed in carton, foamed material and package. 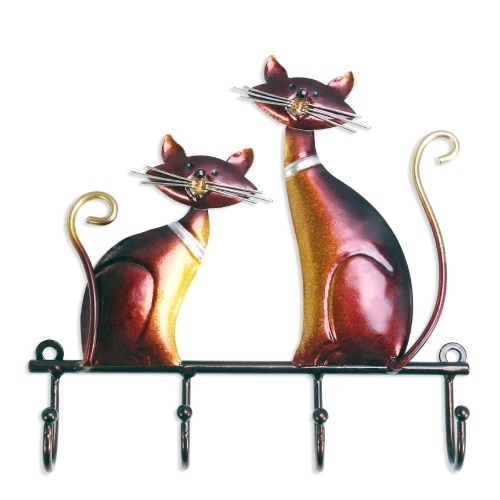 Cats as in the description, cute. Hang-i will add a tip. I recommend the product and the seller. The frame from the fixpraysa decorates the housekeeper, now it has a finished neat look. Great!